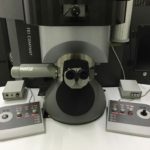 This remanufactured TEM microscope has been rebuilt to the original OEM specifications and comes complete with a Schottky emitter that operates at 300 KV max, though it also functionals effortlessly at lower KVs down to 80KV. Interested in this instrument? 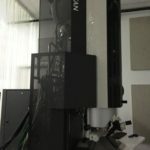 The TEM is ready for demonstration or shipment now!